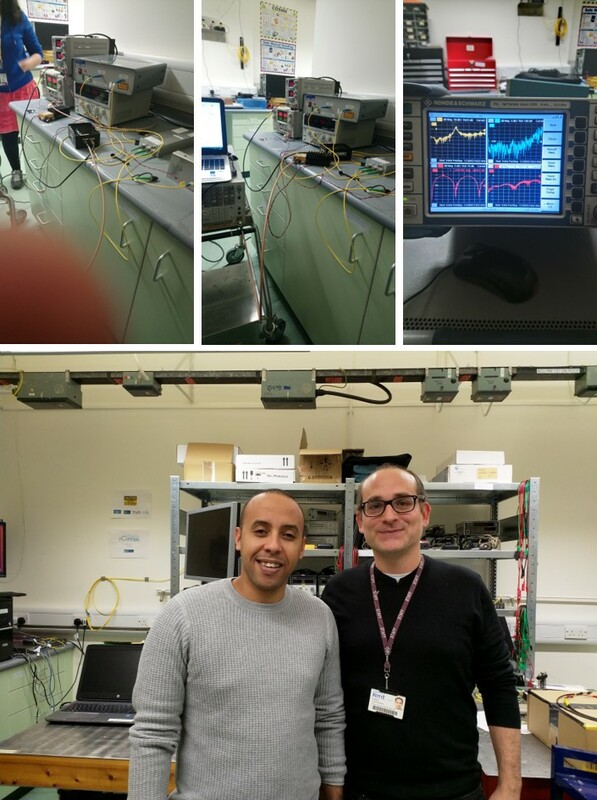 Maina Moutaly, a PhD student from ESYCOM (Le Cnam, University of Paris-Est, ESIEE-Paris, France) has recently visited the team of Nathan Gomes, Communications Research Group in the School of Engineering and Digital Arts, at the University of Kent (Canterbury UK) during 25 days. The purpose was to perform an experimental performance evaluation of analogue radio-over-fiber for 5G waveform transport. The results obtained showed a promisingly high performance fronthaul using phase modulation with interferometric detection for the uplink and intensity modulation with direct detection for the downlink. Similar or, in some cases, even better performance was demonstrated for the phase modulated link compared to the intensity modulated one leading to a possible energy efficiency optimisation at the remote unit as the optical phase modulator does not require a bias supply.